Posted by juktibadi in Uncategorized. 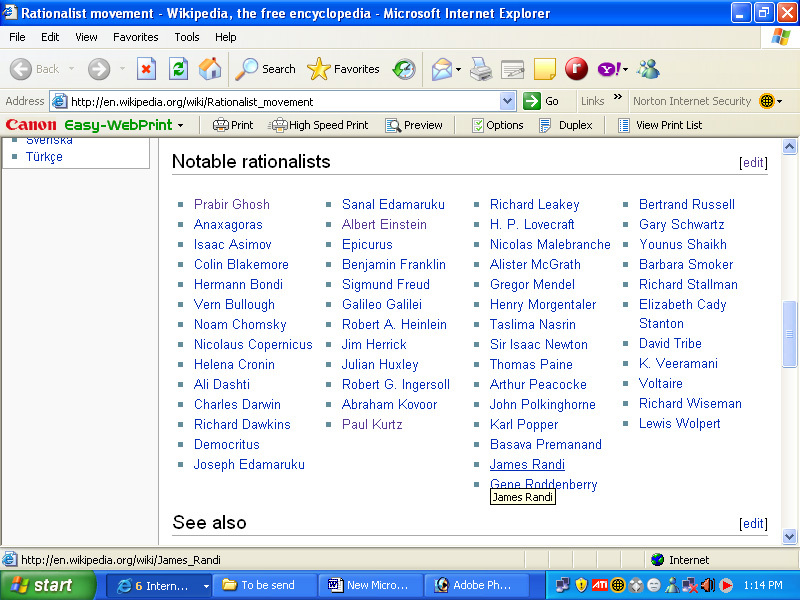 Please search Wikipedia for ‘rationalist movement’. You will come to know about rationalist movement and a list of notable rationalists of the world like Noam Chomsky, Nicolaus Copernicus, Charles Darwin, Albert Einstein, Paul Kurtz and so on.